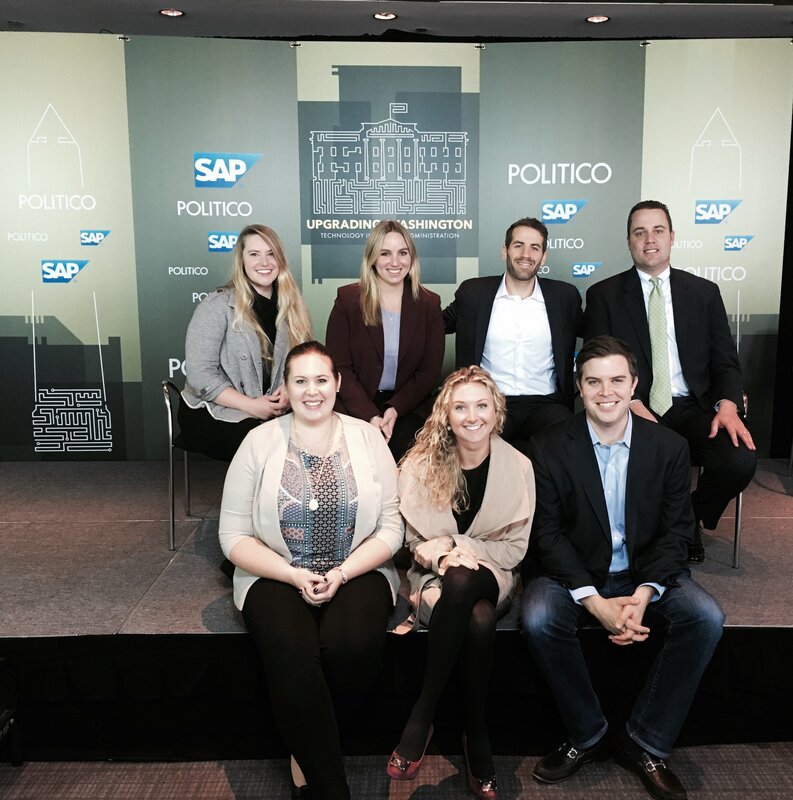 Last Friday, SAP’s Digital Government Innovation Team (DGIT) joined with POLITCO to do something new and exciting – we hosted the Policy Event, Upgrading Washington, at the Newseum in Washington D.C to speak with some of the best thought leaders in Tech and Government. It was a spectacular event with an audience of over 120 people, comprised of SAP customers, tech peers, industry experts, and press with an even larger online livestream viewer count. This was a great way to reach new customers, and current customers in new ways and build long-term thought leadership presence for SAP. POLITICO’s tech reporter Nancy Scola hosted a deep-dive conversation with a panel of some of the top minds in Tech and Government on what it will take for the next generation of Washington leaders to bridge the government technology gap between the private and public sectors. I was fortunate enough to give the opening remarks and discuss SAP’s digital government perspective – that a true digital government is how we will create a citizen centric government that serves the people, helps us solve the challenges that face Americans every day, and will drive solutions for the challenges of running our great democracy. The panel included Phaedra Chrousos (CIO Libra Group, former GSA Head of Tech Transformation and Lead of 18f/USDS), Tony Scott (Federal CIO), and Seamus Kraft (Executive Director, OpenGov Foundation). Following the panel, Whitehouse CTO Megan Smith joined us for an amazing keynote discussion where she stressed importance of having tech innovators & experts in government and every industry. Despite the changes in the political landscape ahead, the one thing that is sure to be constant is the need for technological innovation in government. Here is a great FedScoop article from our event. You can watch the recorded livestream here. We would love to hear your thoughts and feedback! What tech/government topics can we explore this way in the future?